Ramy Salameh says Flanders’ recent hosting of the Associations World Congress will have impressed these influential meeting planners who experienced the region’s ease of access and depth of heritage first-hand. 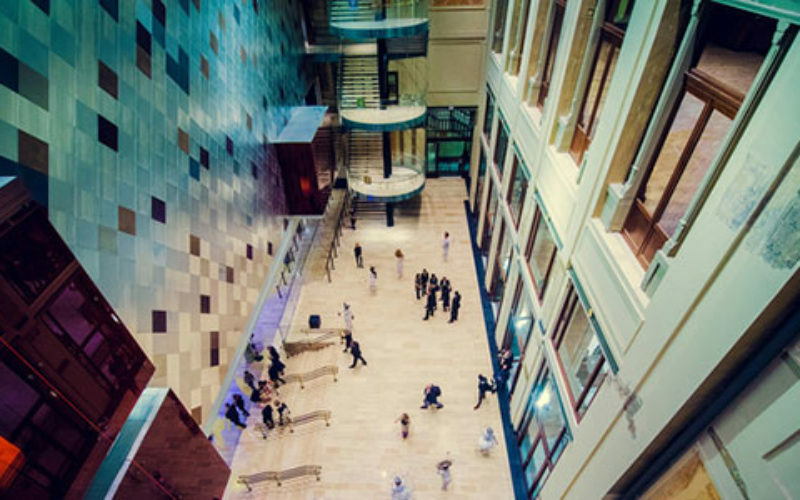 The new Flanders Meeting & Convention Centre Antwerp (FMCCA) played host to the Associations World Congress (AWC) in March, with some 500 association professionals stepping through the door of this major new facility. It is a venue that encapsulates Flanders’ drive, spearheaded by the VisitFlanders CVB, to attract and secure more such business across the region. FMCCA is co-located with Antwerp Zoo and next to Antwerp Central Station and, therefore, has the key selling point of accessibility. “A number one priority when choosing a destination for your event is how your members will travel there. So, it is critical that there are good transport links. Our venue, the FMCCA, was a one-minute walk from Antwerp’s main railway station, with hotels just two minutes away. And Antwerp is only 30 minutes from Brussels, so it’s very convenient and accessible by both rail and air. It worked very well for us,” was the view of Katie Spackman, director for membership & marketing at the Association of Association Executives (AAE), which organised the AWC in Flanders. The new MICE infrastructure across the Flanders region is giving a healthy boost to raising awareness of cities beyond Brussels and their ability to host every type of event from small incentives to major association conferences. Very short distances and travel times between each of the main Belgian cities, dedicated regional CVB’s and one can understand why the country is ranked consistently high within the Union of International Association’s (UIA) annual statistical report. Cities in Flanders are well established and popular leisure break destinations, but are now being urged and supported by the VisitFlanders CVB to utilise their know-how and heritage locations to boost their incoming association business and woo more clients. Bruges is a case in point; while it is already a heavyweight weekend break destination, it has the key ingredients to further enhance a strong MICE portfolio. The city will open a new exhibition centre in 2020, spread across 4,500sqm to cater for up to 600 participants and, importantly, the centre will be right in the historical heart of Bruges. 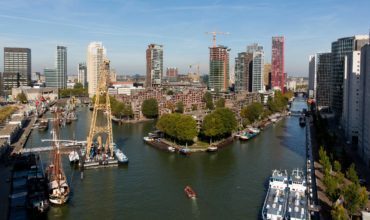 This will give the city another competitive edge and it is already paying dividends with congress enquiries being positioned for 2020 and 2021.
asking how ‘flexible, liquid and resilient a historic city like Bruges can be in an age of uncertainty’. On the same train line as Bruges, but 30 minutes closer to Brussels, is Ghent, a historic and cultural city, looking to pull in new MICE business. 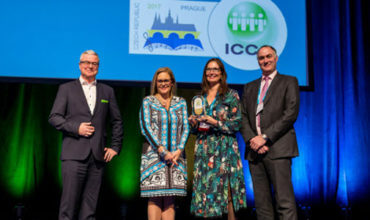 The city has been given the green light to completely refurbish its International Congress Centre (ICC) by 2021, thus adapting the structure to enable several congresses to take place at the same time. This will also be aligned with new hotel capacity – a further 500 rooms will come on stream in the coming years – and there is a push to use heritage locations for more meetings and events. Part of the ICC’s refurbishment will keep in mind the nearby ‘Floraliën Hall’ as part of its portfolio, which lays claim to be one of the earliest MICE locations in Belgium, built as part of the World Exhibition in Ghent in 1913. Situated even closer to Brussels than Bruges, Antwerp or Ghent are the cities of Leuven and Mechelen. Leuven is a mere 20km east of Brussels and Mechelen is equidistant between Brussels and Antwerp, again 20km from each. Proximity to Brussels National Airport and other transport links make both cities super accessible. Leuven has a strong brewing culture. It is the birth place of Stella Artois lager and the world’s largest brewer, AB Inbev. It is also home to KU Leuven, one of Europe’s oldest universities, thus a centre for research and education. It is also situated within a region that offers expertise in health, high-tech solutions and innovation. All of which creates a heady cultural melting pot. Mechelen has the largest number of UNESCO heritage sites in Belgium; one of which, St Rumbold’s Tower, has a skywalk attached. This provides citywide panoramas, making it an ideal location for receptions, at least for those fit enough and prepared to climb the 514 steps to the top. Conference tourism in Mechelen is on the rise, with data showing a 9.5% increase in 2017 over the previous year. All of these cities have been investing time and resources to best showcase their facilities to the right audiences. This strategy includes running ‘Discovery’ and ‘Inspiration’ days. It is a strategy that has attracted the interest of companies such as Jaguar LandRover, BNP Paribas Fortis, Lukoil Belgium, Ericsson, as well as the European Commission, and the Foreign Affairs Department of the Flemish government. The Associations World Congress (AWC) – pictured right, middle – recently brought 240 associations to Antwerp and the local city bureaus will be hoping the reverberations from this gathering of organisers will be felt across the region when translated into future event bookings. The ease and speed with which delegates can reach cities beyond Brussels will not have been missed by the AWC’s influential audience, with some having come from as far afield as Australia and South Africa. Flanders is clearly flying for meetings.